FILE PHOTO: A Western Digital Corporation hard drive is pictured here in Encinitas, California April 19, 2011. TOKYO - Toshiba Corp said its business partner Western Digital Corp had been “persistently” overstating its rights over a memory chip unit that the Japanese firm is looking to offload, showing the two remain at loggerheads over the $18 billion sale. The statement from the embattled Japanese conglomerate comes a day after it said it was stepping up talks to sell the unit to a group led by Bain Capital and South Korean chipmaker SK Hynix. 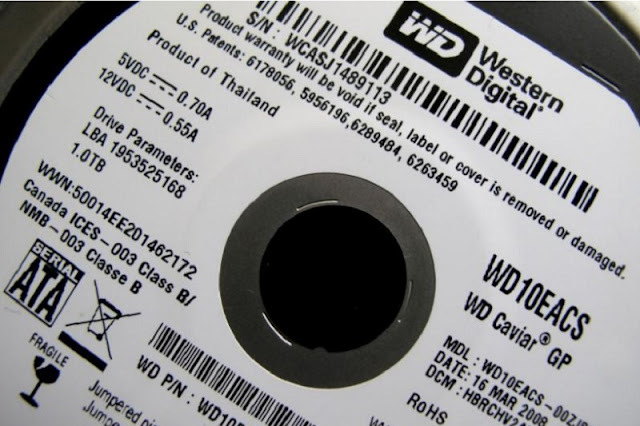 But it also said it would continue weighing a rival offer from Western Digital. “Toshiba regrets that Western Digital persistently overstates its limited consent rights in public statements,” the Japanese company said in a statement, referring to the U.S. firm’s claim that its consent was required for a sale as it had invested in Toshiba’s semiconductor plant. Western Digital on Wednesday said it was confident of its ability to protect its rights in the joint venture with Toshiba, which is the world’s No.2 producer of NAND memory chips. The two companies had last month entered final-stage talks, aiming to sign a deal and put their legal battle to rest, sources have said. But talks stalled as Toshiba, fearing Western Digital was angling to eventually take over the chip business, sought to limit the U.S. firm’s future stake in the unit, the sources added. In its statement on Thursday, Toshiba reiterated it “expects and is fully committed to completing a sale” by March 2018. Without an agreement to sell the unit soon, it will be difficult for Toshiba to gain by the end of the financial year in March, regulatory approval and hence the funds it needs to cover billions in liabilities at it U.S. nuclear unit. Toshiba is hoping to avoid reporting negative net worth, or liabilities exceeding assets, for a second straight year - a scenario that could knock it off the Tokyo Stock Exchange. Toshiba Corp said its business partner Western Digital Corp had been “persistently” overstating its rights over a memory chip unit that the Japanese firm is looking to offload, showing the two remain at loggerheads over the $18 billion sale.